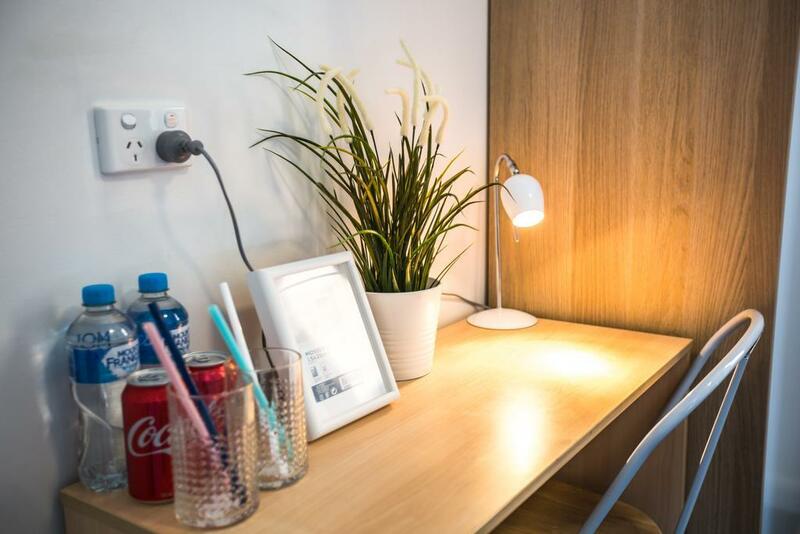 يقع في Sydney CBD, Base Sydney Hostel إنه المكان الأنسب لاكتشاف سيدني و ما يحيطها. يمكن من هنا للضيوف الاستمتاع بسهولة الوصول إلى كل ما تقدمه هذه المدينة النابضة بالحياة. 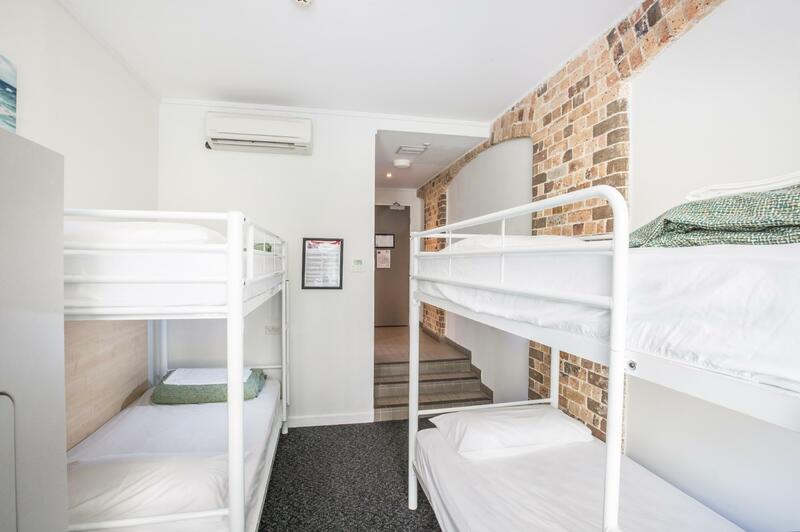 يوفر الفندق بفضل موقعة الجيد وصولاً سهلاً إلى أهم معالم المدينة.
. إن Base Sydney Hostel حريص على توفير الراحة للنزلاء، فلا يوفر الموظفون جهداً في تقديم أفضل الخدمات وضمان حسن الاستقبال. يقدم هذا الفندق العديد من الخدمات الكفيلة بإرضاء أكثر الضيوف تطلباً. يمكن للنزلاء الاختيار من ضمن مجموعة من الغرف المصممة بعناية لتعكس جواً من الراحة، والتي يتجاوز عددها 83. كما أن مجموعة الخدمات الواسعة الموجودة في الفندق لضمان راحتك تترك لك الكثير من الخيارات لقضاء وقتك أثناء فترة إقامتك. إن Base Sydney Hostel هو خيار ذكي بالنسبة للمسافرين إلى سيدني، بما يوفره من إقامة هادئة ومرحة. يرجى العلم أن العقار سيبذل قصارى جهده لحجز الأسرّة في الغرفة ذاتها (تخضع للتوافر) للحجوزات التي تشتمل على أكثر من نزيلين. 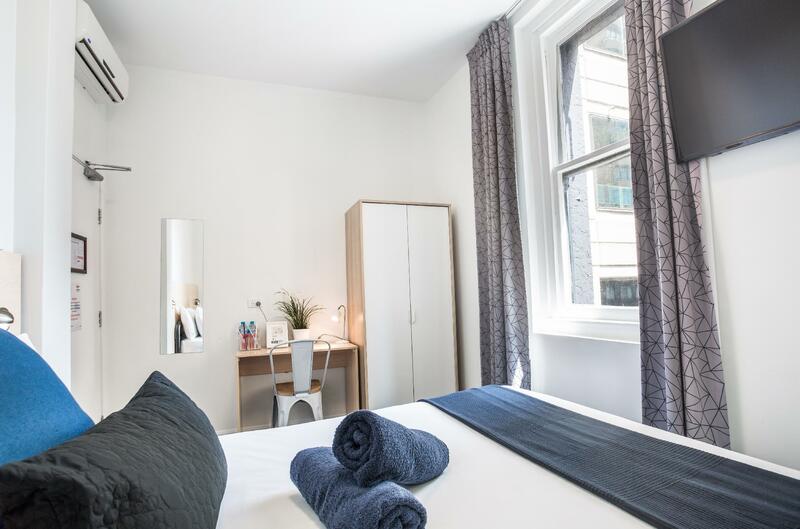 The hostel is the cleanest, most modern and friendliest hostel in the city. 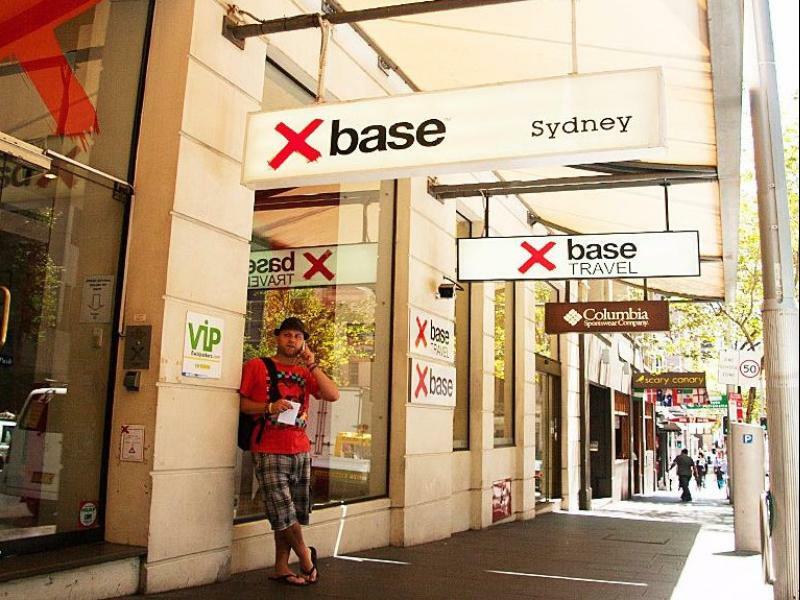 I also stayed in other hostels in sydney, but none of them were as good as Base. Especially Kelsey and Andrea were extremely helpful to answer questions. Definitely a must stay! Clean, very good location in the hub of the city. Earplugs provided but after a couple of sweltering days in Sydney, sleeping not an issue. TV and air conditioning good. Better for the young travellers. Luggage storage was helpful, although not very well run, could be easily taken advantage of. Definitely do not keep any valuables in the storage area. The hostel just beside the Town hall station and make you easy to go anyway and also airport. There's an elevator even it is quite old but still save me a lot of effort to carry a big luggage to my room. There are always available bathroom and toilet even the backpackers are quite a lot. The bed is soft and the room is clean and the space is quite big! Our room was right in the corner of Druitt & Kent Streets so we heard every fight and honk, sound proof was non-existent. Besides that everything was great, room was a lot more spacious than expected, which made it comfortable for a week-long trip. Shower needs improving though, water keeps getting out and wetting the floor. Awesome WIFI! Very loud music in lobby, kitchen and bar. Bed shake strongly. At 11pm they told me and the other girl to change room, we went down to reception, the male manager looked angry and didnt even say sorry to us. Its their mistake not us to book too many people in the same room. 1. Receptionists not helful. 2. There was a woman staying in the room long term, her stuff was everywhere, mid night came back made loud noise didn't respect others were sleeping. 3. AC sometimes hot sometimes very cold. 4. Super loud music from lobby 24hrs and loud music from bar next door till mid night. Very good location - it is just a walking distance from the train station, City Market, St. Mary's Cathedral, and other other tourist spots. Staff - they are friendly and helpful. I ordered online an Opal card before my arrival and requested them to keep it. :) I use the address of the hotel as the delivery address. Elevator - already old and slow :( Negative comment on the noise that you can hear from other guests :( occupying other rooms. But overall, highly recommended! As a solo traveler, I stayed in the female dorm which is at 4th floor, separate from normal rooms. It was quiet, not like other reviews that were annoyed by the music. There’re mirrors, bean bag, sofa and lockers in the room. The kitchen is big, plenty of storage space and seats. There’s only one shower and toilet per floor but I never needed to wait. Wifi only available at lobby and kitchen, a bit slow but good to have. Overall it’s a pleasant stay as it’s my first experience with hostel. 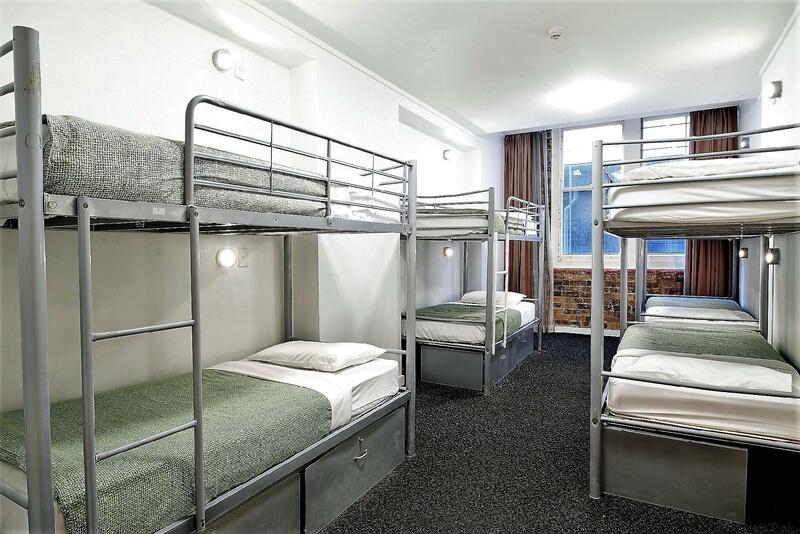 If you are looking for value for money hostel, this is the right place to go. 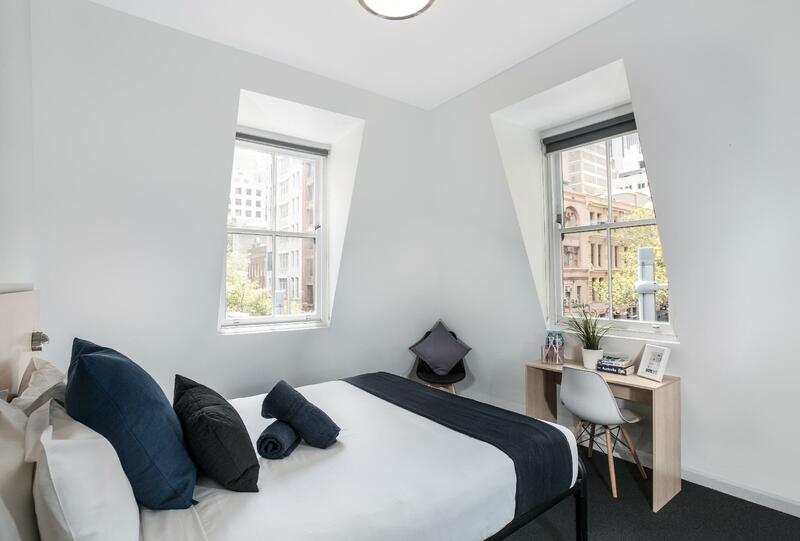 Good points: The location is perfect because It’s right in the centre of the city and right next to darling harbour. 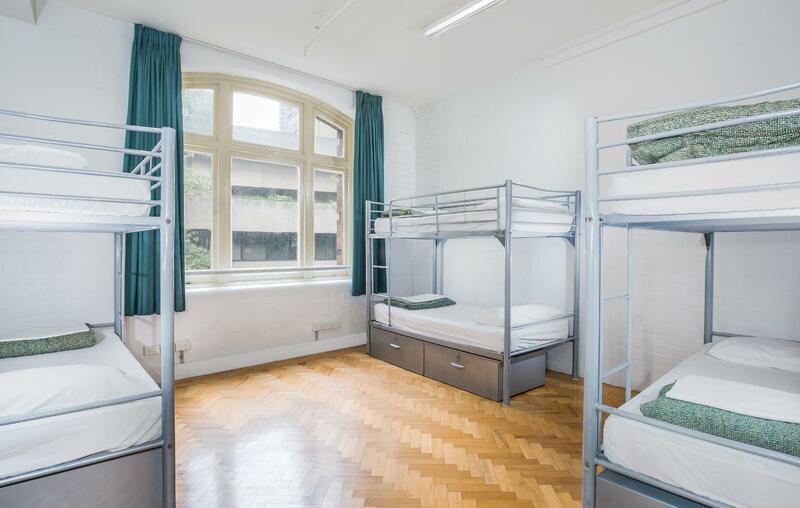 Reasonably clean, a large kitchen area and plenty of laundry facilities to use. Being next to a bar that does good deals on meals is also a good bonus Bad points: Taking the good points into account it still isn’t worth the money and the fact the hostel raised the prices doesn’t help and will only drive customers away from here. People pay less for single room apartments. The service is also very slow, I had to wait roughly 20-30 minutes to get served and I was only second in the que. Also where’s all the mugs in the kitchen gone?? My husband and I booked for double and got room no.119. The air conditioner is not working in the hot weather night. We couldn’t sleep for the whole night. They should not sell the room which is incomplete to customers. Everything need to be fixed or repaired before selling. We’re disappointed. We paid full price for the air conditioner room but didn’t get it. We won’t recommend it to our family or friends. In addition, we won’t come back again. It is a ok place, nice place to meet new people and happening. Not suitable for family with young children. Place gets quite noisy as club is located right below the hostel! Place for the young hearted! i booked double room but i got mixed room. i am not sure double room is mixed room or not and i am not stay at the hotel because in the room too smell and locker didn’t have key and no safety for my things and i cancel 1 day no need refund back for change the hotel. Staff at the hotel very nice and helpful but only 1 person at reception they sould be have 2 staff at the reception. 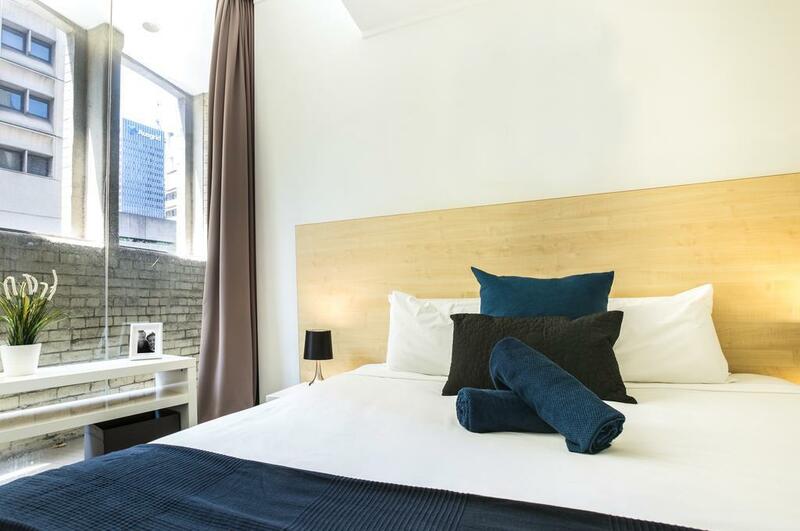 Pros-centrally located; town hall stn is just across the street; very near Queen Victoria Bldg., Westfield, Sydney Tower, Hyde Park; has direct train to domestic and international airport; if you love to party, it's connected to a pub called "The Scary Canary" Cons- since it's connected to a pub, it's quite loud at night, rooms need bigger lockers for luggage. It's been many years since I had stayed in a back-packers, and I was by far the oldest person staying there, but staff were welcoming all the same, and the occupants soon stopped staring at me! The location of Base was great - only a few minutes walk to Darling Harbour, or to Town Hall station, and actually Circular Quay and the bridge were walkable - about 30 mins max. So couldn't have been more central, especially for what I paid! I booked a private double room, would have preferred one with en suite but they were already booked. However, the toilet and shower were straight across the corridor and always clean, and by chance, never occupied when I needed them. The room was bright and clean, with a very comfortable double bed and TV. I didn't actually cook for myself but used the kitchen to make cups of tea, etc, and the facilities looked really good. Plenty of fridge and food storage space. I could happily have stayed there longer and would definitely stay there again! The elevator takes minutes to go up or down only one floor. But I couldn't find any stairs. Also, shower was way too far from my room, with little space and number of course. The guy receptionist only friendly to female westerner guests.